Our main activity for the last day of the Rio Grande Valley Birding festival was breakfast (sumptuous) as the The Inn at Chachalaca Bend followed my a walk around the grounds looking at birds. We started near the Inn’s deck on the bank of La Resaca de las Antonias. 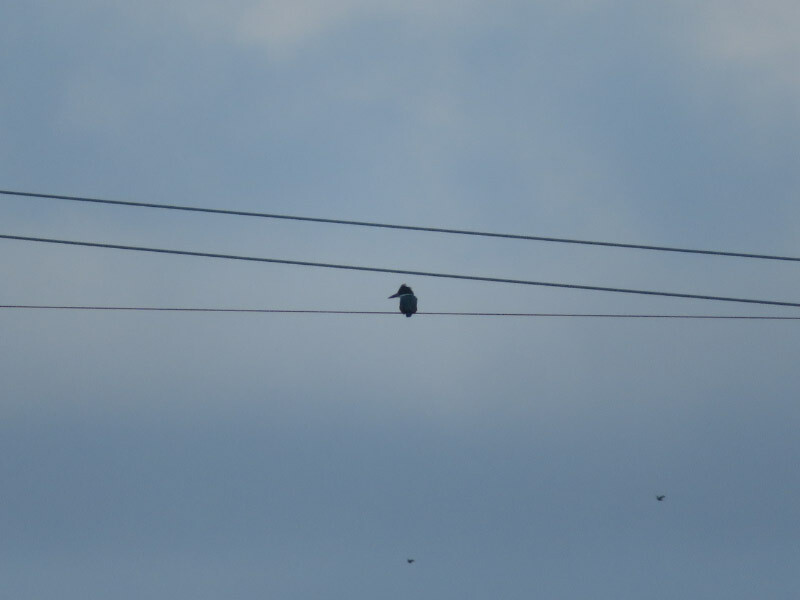 We saw a Belted Kingfisher on the electrical wires crossing the Resaca almost immediately! A Great Blue Heron and Great Egret had a little conference in the distance. 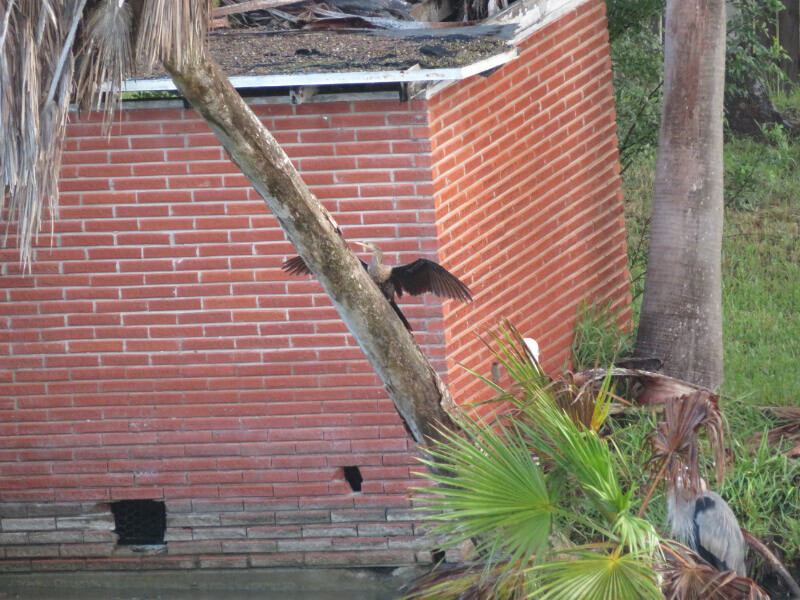 There was a broken tree trunk (or old telephone pole) near the water….a perch for an Altamira Oriole. 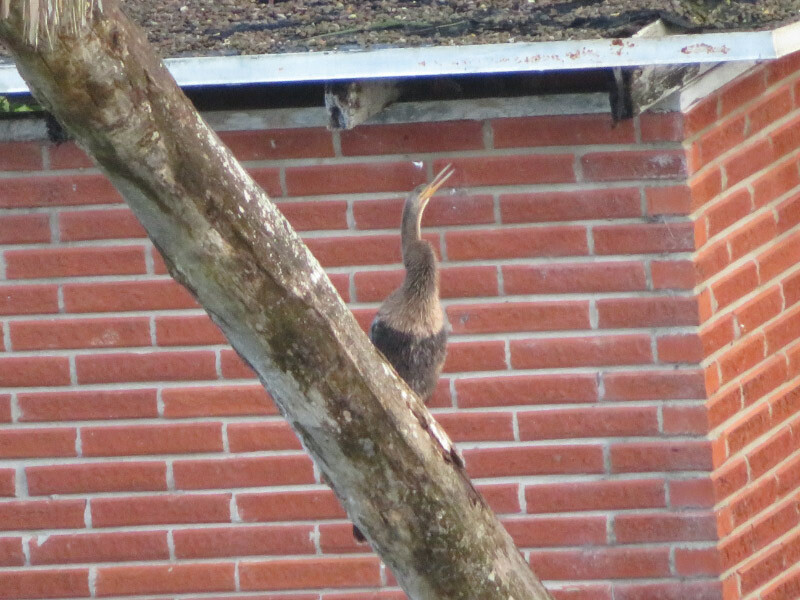 Directly across from the Inn an Anhinga dropped down into the water to capture a fish then walked back up a palm that was slanting over the water. 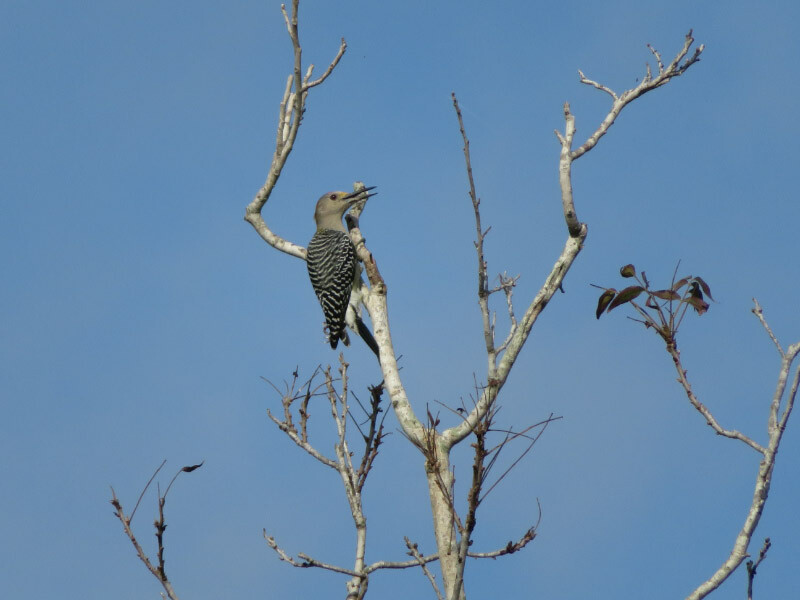 Nearby on a snag, a Golden Fronted Woodpecker searched for breakfast. 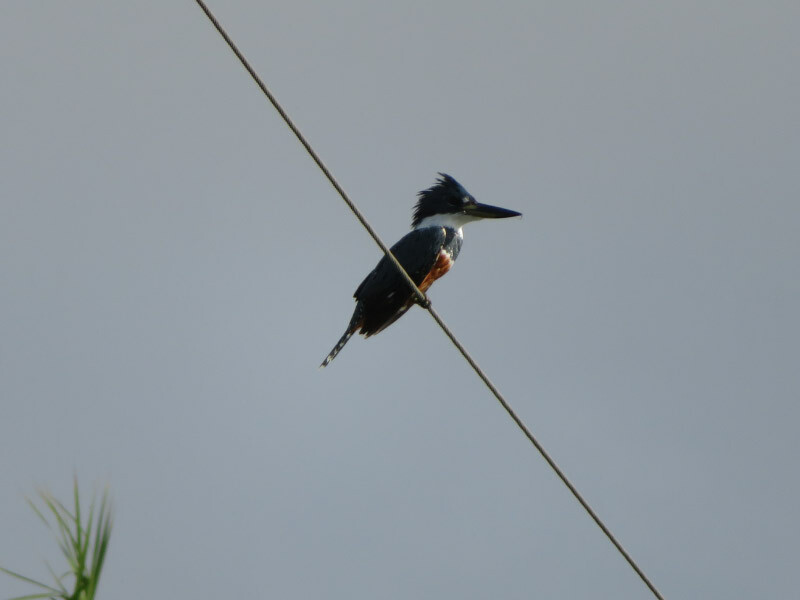 There was a ruckus and then a larger bird flew toward us over the water and sat on the electrical wire nearest us: a Ringed Kingfisher. And a Black-crowned Night-Heron in the vegetation across from where were standing. 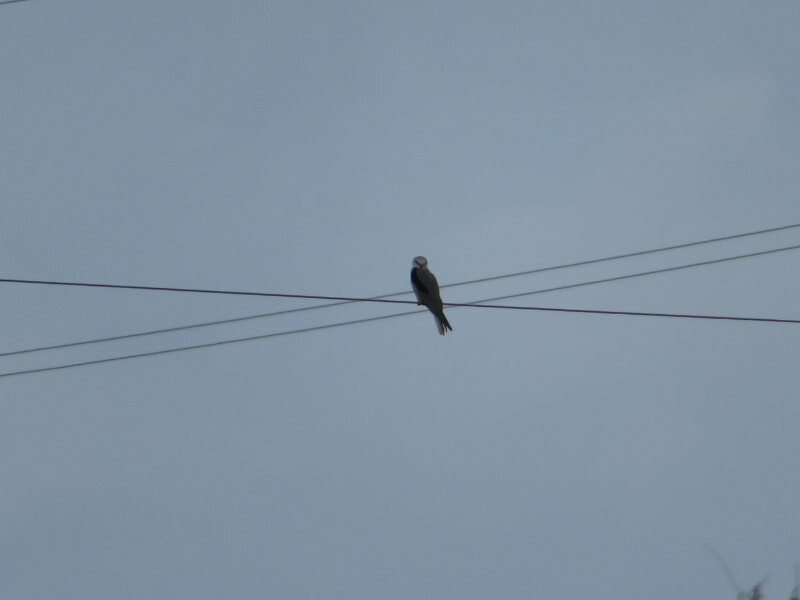 The kiskadee flew away and we notice a kite (probably white tailed…but hard to tell for sure). We left the Resaca to hike around some open field areas. 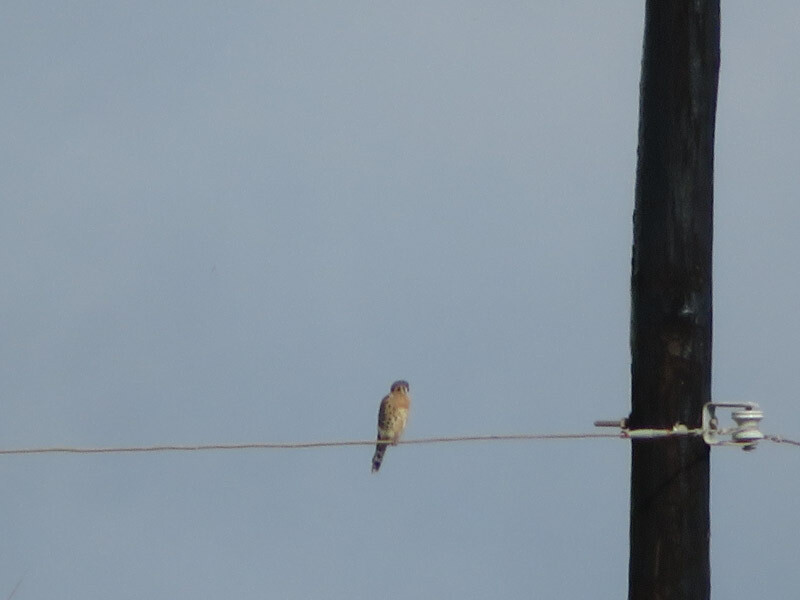 We saw an American Kestrel looking at the meadow. 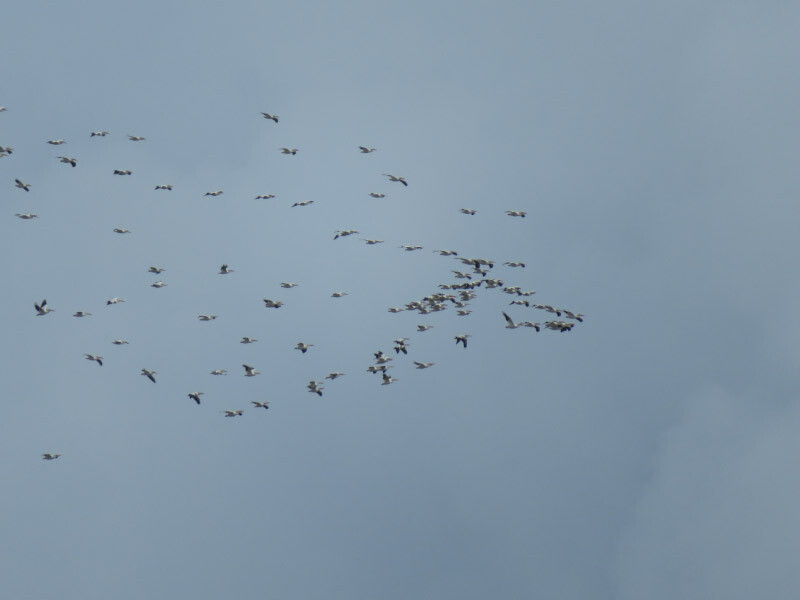 As we headed back almost to the edge of the path through a forested area, we looked up and saw masses of migrating American White Pelicans! There were several groups…maybe as many as 1,000 birds. The path branched off to the edge of the Resaca again and we saw a Snowy Egret (note the yellow feet which is a distinctive feature for this bird even if the focus is not very good for the picture). As we got ready to leave, we gathered back at the Inn and saw a hummingbird at the feeder (probably Ruby-throated). 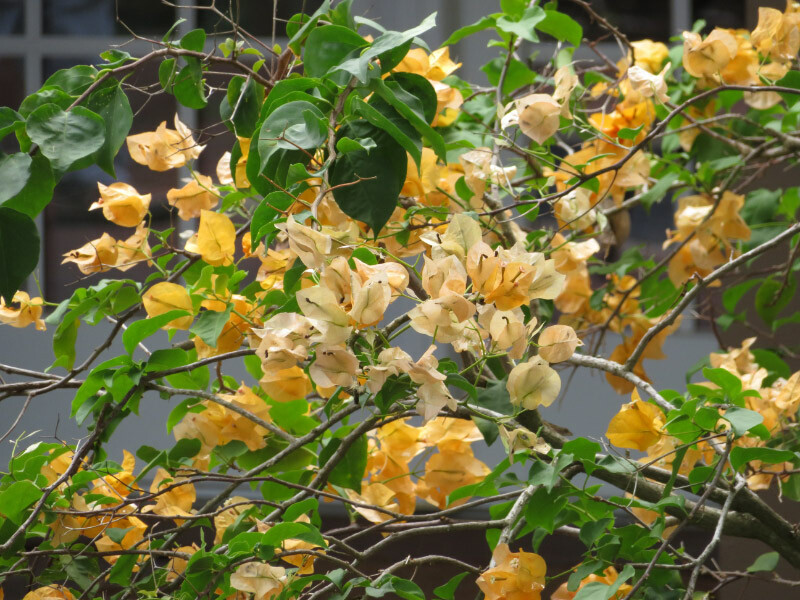 There were a few plants I took pictures of…but they were secondary to the birds!